My choice was Arch Linux. Why ? Simple. In the past 4 years since I've been using Ubuntu I've learned enough to be able to handle another distro without any problems. Archie has a steep learning curve but it is rewarding in my opinion. 1. Great package manager (Pacman + abs) rule. 3. Rolling release (double edged feature if you ask me, as it might crash your system but it didn't happen to me so far). 4. You don't have to put up with Canonical's choices. OMG your bodhi desktop looks awesome.. can you tell me how to make the e17 desktop as yours..also please post me the link to download the wallpaper.. Please consider doing a weekly tutorial about configuring the enlightenment desktop.. I can't even say I have mixed feelings about Unity. I hate it. It does look nicer than GNOME 2 did but everything else is just bad. 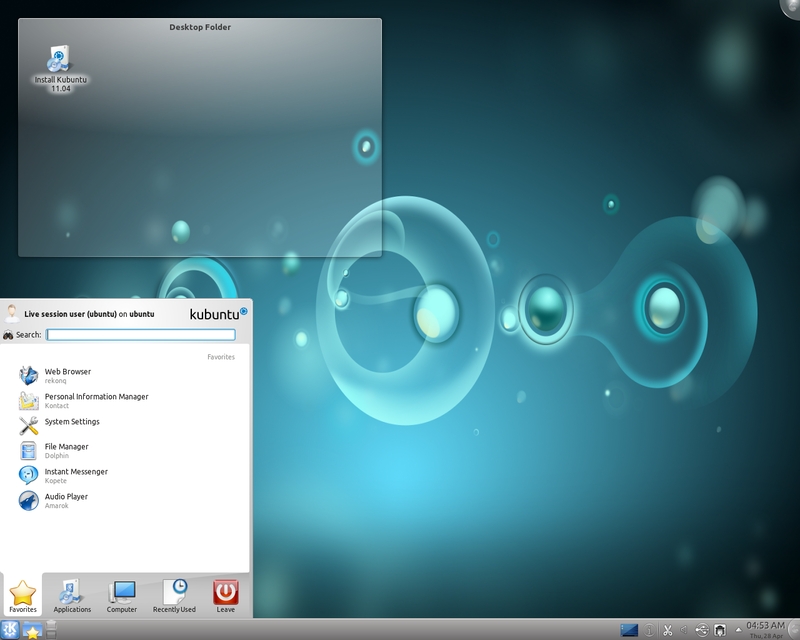 I switched to Kubuntu this time and will take a look at other KDE distributions to see if there are even better ones. I don't see myself comming back to Ubuntu anytime soon. Mint is a pretty good distro, and is not going the unity route. Another Archer here. Although I'm using/testing gnome3 currently, I've got KDE, XFCE, E17, LXDE and openbox as selections from login. From the "do it MY way" school, Arch can't be beat imho...and the site wiki is beyond awesome for getting through the "sticky bits". Oh and unity on my samsung n150plus netbook...where that interface just works. I'm surprised Mint wasn't mentioned on here. If you like KDE, Mepis is a good bet too, and in fact, it's based on pure Debian. Crunchbang, which is what I use, is now based on Debian Stable and is a nice and lightweight distro that comes with your choice of the Openbox or Xfce desktops (I'm running the Xfce version). @jai ho That desktop is not my own, but one taken from the Bodhi desktop of the week. I plan to post some tutorials eventually though. Time has been getting away from me of the late. I would personally put Xubuntu as a very solid option. 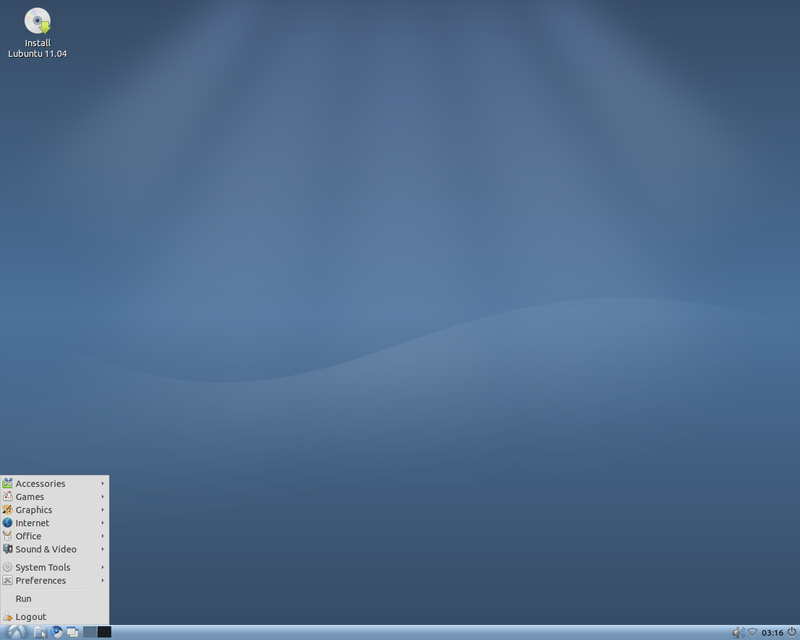 XFCE really is not that much different from Gnome, certainly closer than what KDE is anyway. I switched to Debian testing about a month ago. Very happy so far. I'm also toying with Slackware -- going well so far -- we'll see how that goes. For Debian polished to a gem like shine try Mepis. Version 11 was just released, more stable than Ubuntu, latest applications, and a great community forum for assistance. It has KDE for a desk-top, the 4.5 version. "latest applications" but then only KDE 4.5?... Doesn't seem like the latest to me. I'm pretty sure the theme being used in that pic is the Boox theme which can be found at http://art.bodhilinux.com. I wasn't able to find the background pic though. It may also be on Bodhi's Art site, but I didn't search thoroughly. Another vote for Linux Mint here. Linux Mint 11 should be out later this month (or early next month) and will be based on Ubuntu 11.04 and likely Gnome 3 and Metacity (no Unity or Gnome Shell by default for sure). Linux Mint provides some unique applications such as mintMenu and mintUpdate, and it also provides an extra layer of testing on top of Ubuntu's own. Linux Mint also provides a more complete out of the box experience (flash, among other things, works from the word go). All Ubuntu packages work with the main edition of Linux Mint, as do most, if not all, guides/help resources. It's a much more community orientated distribution and focused on desktops. Their prime concern seems to be what works for their users, and they often take a more conservative and reasonable approach to "radical" changes compared to Ubuntu. So long as they stick with Ubuntu as the basis for their main edition, Linux Mint will likely be my distribution of choice. Why are you using the title "Five Debian Based Alternatives to Ubuntu 11.04" when 4 of the 5 are based on Ubuntu and the 5th is Debian itself? In this list not one of the distros id Debian based. Great topic, and good review ! With VirtualBox I can surely try Mint and Bodhi (if only because it's based on Enlightenment). I'll go along with Debian as an excellent step to take in the exploration of Linux distributions once one has tried and gotten accustomed to Ubuntu, Mint, and the other derivatives. The choices can be daunting. Having more than one option for pretty much everything, made possible by the massive size of the Deiban repositories, isn't for everyone. I would really suggest people check out Mint, as well as Crunchbang. Mint comes in either an Ubuntu or Debian-based flavour now, and it is really nice and polished. 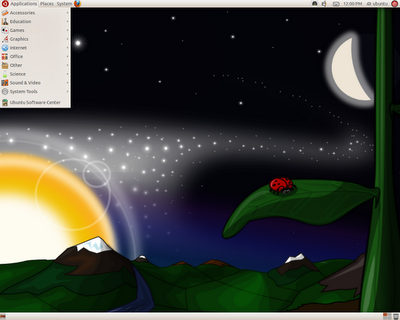 I'm using Crunchbang now, which is a debian-based OS that uses either openbox of XFCE. The *box (openbox, fluxbox, blackbox) family of window managers are really lightweight and have a nice, minimalist feel. Having just said that, I'm about to give Bodhi a try in a VM, the enlightenment desktop has always kinda interested me :) - thanks for the sharing of info! I believe Debian GNU/Hurd is a good choice. I used an developed some Minix3 for a term project recently. I fell in love with the Microkernel-Server design. 1) Mach is a killer micro kernel. 2) The design is theoretically slower. In practice the speed difference is noticeable in a concurrent scheme, but in parallel... Linux still does allright, but that's because Linux has been hacked to pieces to make it so. What about an OS that natively does this. 4) There is room to make a name for yourself. 5) The design is theoretically more secure. Hurd is to Linux as Haskell is to C.
6) Haskell has already been ported over. And so have wireless tools! And Xorg. And apparently Gnumeric. 7) It's probably more fun to setup than arch linux. antiX. Debian Testing with a bit of MEPIS. Awesome! Hi. Linux world have many alternatives and your select the most comfortable. I use ubuntu since 2004 to 2008. Change to openSUSE a most mature OS (in knowladgebase) buy the constant release cycle (6 or 8 months) it's very frustrating because some configurations & apps fails or work with a poor performance. Test debian, Sabayon, PCLinuxOS and ArchLinux. This distros are nice and offers good choices buy ArchLinux have 1 advantage, is rolling release and it's very customisable setup and configuration. Unity is a really copy of gnome shell in many aspects and these are not mature and need more work (remembering kde change 3 to 4). Unity is a GUI only for ubuntu, the others distros use gnome shell. The next releases offers a view to the future and I think (and belive), gnome shell win. Was surprised not to see the usual suspects such as Red Hat and Mint here.